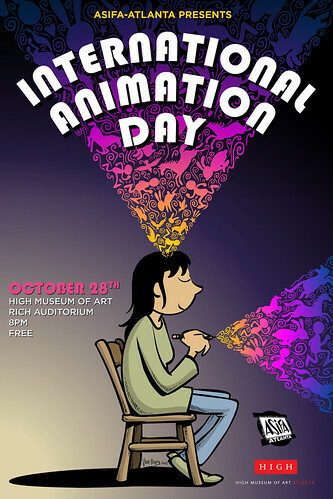 In anticipation of the upcoming Georgia Animation on Our Mind show on July 10 at the High, we thought you might like to learn more about ASIFA, the International Animated Film Association, which was founded in 1960 in Annecy, France, home to one of the world’s most prestigious animation festivals. Visit their U.S. chapters at ASIFA Hollywood, ASIFA East, ASIFA Central, and of course ASIFA Atlanta. For more great animated films, news and links to animation sites, visit Cartoon Brew.